Introducing the world's most superior mineral makeup. Jane Iredale's mineral foundation multitasks as a foundation, powder, concealer and sunscreen all in one - providing long-lasting coverage that feels like you're not wearing any makeup at all. Weightless and water-resistant, it has light-diffusing properties to create a radiant glow, making skin look instantly healthier and younger-looking. And unlike many popular mineral makeups, this pressed powder is formulated with only the highest quality, good-for-you ingredients, providing Broad Spectrum SPF 20 and UVA P protection that is water resistant for up to 40 minutes. Part of Jane Iredale's Power of Three system, it works synergistically with the Handi Brush and D20 Hydration Spray. Contains no oils, talc, dyes or parabens; non-comedogenic and allergen free. Swirl our Handi Brush around the cake. 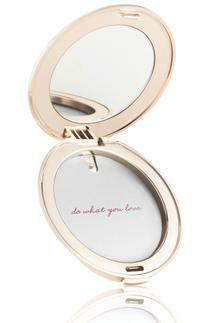 Use the side of the compact to tap off any excess powder. Begin application where you want the most coverage, using downward strokes. Then layer the minerals over the rest of your face and neck. 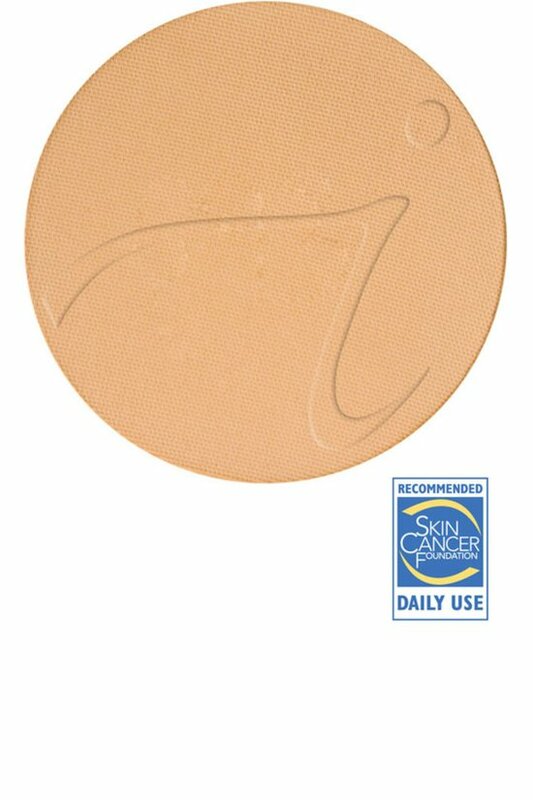 Purepressed base U.S. - Refill - all shades except latte Active ingredients: titanium dioxide 14%, zinc oxide 3%. ingredients: mica, boron nitride, dimethicone, stearic acid, plankton extract, algae extract, pinus strobus (pine) bark extract, punica granatum (pomegranate) extract. [+/- (may contain) iron oxides (ci 77489, ci 77491, ci 77492, ci 77499), ultramarines (ci 77007)] purepressed base u.s. - refill - latte active ingredients: titanium dioxide 14%, zinc oxide 3%. ingredients: mica, boron nitride, dimethicone, stearic acid, plankton extract, algae extract, pinus strobus (pine) bark extract, punica granatum (pomegranate) extract. [+/- (may contain) iron oxides (ci 77489, ci 77491, ci 77492, ci 77499), ultramarines (ci 77007), chromium oxide greens (ci 77288)].